Speaking at the Oxford Farming Conference the Environment Secretary set out priorities to make farmers more resilient. 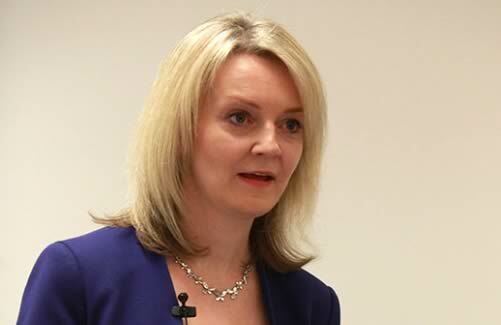 Defra will invest 12 per cent more capital this Parliament to upgrade its animal and plant disease response, as well improving flood defences and modernising the organisation to improve the service it delivers for rural communities, Environment Secretary Elizabeth Truss pledged at the Oxford Farming Conference. In addition, over a million acres of prime farmland will be better protected by 2021 through our investment in flood defences in the 10 years to 2021. Defra will also be giving local communities greater control of their local environment. This includes allowing farmers - who know their land best - to maintain ditches on their property. Currently, farmers are unable to remove debris, such as silt from ditches, without permission. establishing a new Great British Food Unit to drive up exports. Defra is reshaping itself to help Britain be a global leader in farming. We are making efficiency savings of 15 per cent at the same time as putting more money into capital funding - a 12 per cent increase to £2.7billion over the next five years. That means we can invest in technology and digital systems, growing our exports, world-leading science, protection against animal and plant disease and, of course, flood defences. In the past, the department and its agencies have been accused of operating in silos – looking just at flood protection, just farming or just the environment. This is going to change. And we have been criticised for taking too much decision-making out of local hands. While it is right that we manage major national risks, it does not mean we should seek to micro-manage everything. In the future, we will be more integrated and less siloed. Defra and its agencies like the Environment Agency (EA), APHA, the RPA and Natural England will in the future be operating towards clear shared goals. There will be one back office so we can save money on admin and spend more on the frontline. From this July, EA and Natural England will work together locally using the same boundaries and the same plan. Under the leadership of Sir James Bevan and James Cross, these organisations will be more pragmatic, more responsive to local communities and deliver better value for money for taxpayers. We will decentralise decision-making. That’s the approach we are taking for the Somerset Rivers Authority and, most recently, the Cumbrian Floods Partnership. Subject to parliamentary approval, we will also allow farmers across the country to maintain their own ditches up to 1.5km long from April, so they can clear debris and manage the land. This follows the successful pilots that we started two years ago. And we will soon announce proposals to give more powers to internal drainage boards and other groups to maintain their local watercourses. It will become simpler to apply for environmental permits. We will cut thousands more inspections with the Single Farm Inspection Task Force. We are also improving our resilience to animal disease by investing around £65million into new centres for livestock, crop health and precision engineering. This will bring us state of the art laboratories and fund the upgrade of our bio-containment facilities at Weybridge, securing our ability to fight disease.